Newcomer Family Obituaries - Michael Stephen Minkiewicz 1969 - 2018 - Newcomer Cremations, Funerals & Receptions. Michael Stephen Minkiewicz, 49, of Aurora, passed away November 26, 2018. He was born January 2, 1969 at Fort Eustis, Virginia, the son of Joseph Minkiewicz and Virginia Varnak. He was a graduate of Smoky Hill High School, attended Santa Barbara Junior College, and Aurora Community College. Michael worked as an independent contractor at Hytek General Contracting in Denver & also at Great American Roofing. Michael was a military ‘brat’, living at or near Forts Eustis, Sill, Hood, Bliss, and then Firzsimons Army Medical Center in Aurora. Michael loved to cook and serve his delicious Philly Cheese Steaks, chicken enchiladas, and all too often a large steak that was the best one he could buy. Movies and music were very important to him and he loved to listen to his daughter Gabriella sing. Watching her play sports made him very proud and just watching her grow into a lovely young lady was beyond description for him. Fishing was a lifelong passion which started when he lived in El Paso, Texas while a small child and that passion continued throughout his lifetime. Catch & release only, he would let the fish off the ‘fish friendly hooks’ and tell them to “go home little fella”. And of course, he would never eat any type of seafood as that was totally unacceptable. He was true to his family, many classmates and friends, always had their backs if the need arose. Michael wasn’t a cat lover but certainly liked Gabriella’s ‘silly’ kitty Lily Ann as he affectionately called her. His family made Michael very happy and he was excited for Christmas to arrive so we could have another great gathering like we were so blessed to have this past Thanksgiving. 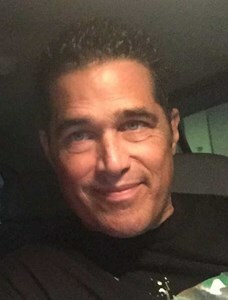 Michael is survived by his beloved daughter, Gabriella Mink; son, Darrin Minkiewicz; brother, Richard Minkiewicz; numerous aunts, uncles, cousins, friends, and girlfriend, JoJo McGillvray. He is preceded in death by his grandparents George & Mary Varnak, Joseph and Josephine Minkiewicz, and cousin Laura Varnak McCracken. In lieu of flowers, memorial contributions may be made out to the "Michael Minkiewicz Memorial Fund for Gabriella Mink College Education." A Celebration of Life service will be held on Saturday, December 8, 11:00 am, at Fellowship Community Church located at 6263 South Parker Rd; Centennial, Co 80016 with a light luncheon to follow. To share a memory of Michael or leave a special condolence message for his family, please click the Share Memories button above. Add your memories to the guest book of Michael Minkiewicz. MIKEY, I WILL MISS YOU FOREVER! What's up Black. It's me Red. I will never forget. Ever. Words cannot express the sadness I feel for the family of Michael. I am sorry for your loss and hope you find comfort in the memory of this wonderful man. I enjoyed knowing you Michael. Rest in peace with the Lord. I am so sorry for your loss. My sympathy to all your family. "We meet thousands of people and none of them really touch you and until one day you meet that special person and your life is changed forever!" You will always be in my heart. God bless you sweetie. 10 year old Michael would visit my family often, teaching 10 year old me, by his example, what a good brother was and of equal importance, how a “professional” ran with the football. May God welcome you with open arms, man. There is not just one but many memories of Mike, he will be truy missed. Thoughts a prayers to his family?????? I vividly remember seeing Michael play football his freshman year at Smokey Hill H.S. He played linebacker and really had talent. I felt he could play very well and he played an outstanding game, even though Smokey Hill lost the game. When he didn't pursue football after that year, I felt he wasted a lot of talent and a chance at a football scholarship. He has been an enjoyable nephew for 49 years and his aunt Donna and I will sorely miss him, along with his daughter, brother, and parents. Michael was such a very handsome young man. I met Michael only once as a young child while visiting Virginia and Joe in Texas. But I received many updates and pictures over the years from his mother Virginia, my best friend for over 60 years. It saddens me to the core to have learned of Michael's passing. May you find peace and comfort in remembering happier times with your wonderful son.